If your child would like a phone call from Santa or a letter from the North Pole, check out what some local places are offering this holiday season. Thank you to Woodfield Plaza for helping us bring you all things SANTA in Champaign-Urbana on chambanamoms.com this holiday season! Woodfield Plaza presents office space away from home in a clean and tranquil environment. Whether you lease an office, just need a conference room for those important meetings or want to become one of our virtual tenants, each lease comes with numerous amenities, among them free parking, a 24/7 secured building, all utilities included, kitchen, WiFi lounge, and many more. Take a virtual tour. Christmas is coming — are you in the holiday spirit yet? Before you deck those halls, why not arrange a phone call from the jolly old elf himself! If your child would enjoy getting a personal phone call from Santa Claus or a letter in the mail from the North Pole, check out the opportunities a few local organizations are offering this holiday season. 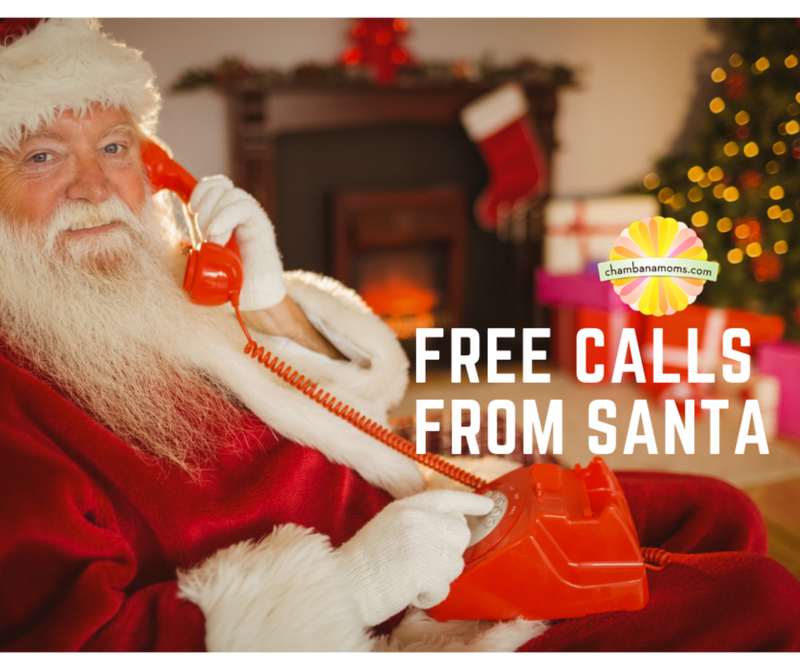 For more than 20 years, the Champaign Park District has been offering free calls from Santa to Champaign-Urbana children. This year, calls will be made on Thursday, Dec. 13 between 6-8 p.m. The deadline to register for the free call is Dec. 11 by 5 p.m. Registration forms will be available starting Monday, Nov. 20, at any Champaign Park District facility or online. If your child would prefer to receive a letter from Santa instead, the Savoy Recreation Center is mailing personalized letters from Santa Claus. Parents can call (217) 359-3550, or stop by the Savoy Recreation Center and fill out a form by Dec. 7. Only 50 letters will be sent out, and it is first come, first served. Letters will be mailed out no later than Dec. 14. The Mahomet Recreation Department is also mailing out personalized letters from Santa. Both a registration form and informational form must be filled out in person or online. The deadline to register for a more personalized letter is Nov. 27. A total of 50 letters will be mailed out.